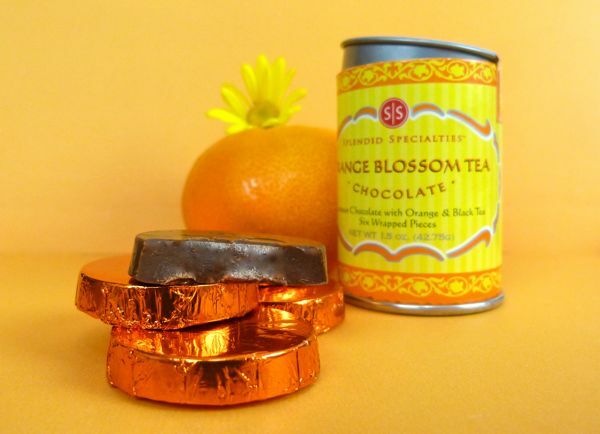 When I opened today's chocolate -- a small container of Splendid Specialties (Novato, CA) Orange Blossom Tea Chocolate, I enjoyed the subtle scent of fragrant orange. 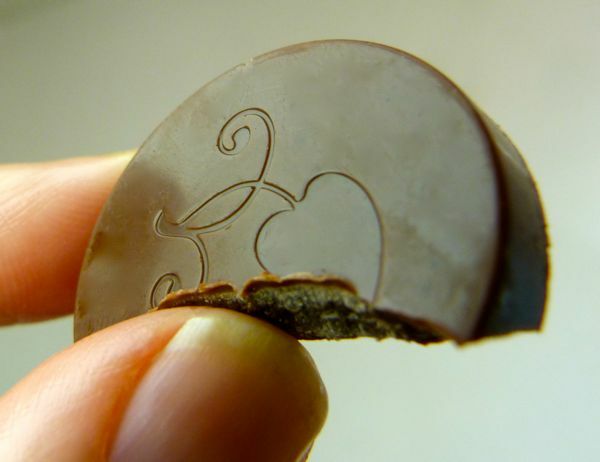 These semi-sweet, European chocolate discs (6 in all) infused with orange and black tea came individually wrapped in Orange foil. Today was Day #5 of Chocolate and All Things Orange.